The year 2016 is still quite fresh in my memory. That’s when BMW’s marketing team went on full-attack mode, as the company celebrated its centenary. The year was marked by several premieres as well as concept cars and a new strategy set up for the next 100 years. Today BMW decided to take a look back through its now 103-year history and cover the most important landmarks reached, in decade-long steps. From planes to supercars, BMW has done it all. It was 1919 when a first world record attempt was done by pilot Franz Zeno Diemer and involved the BMW brand. Back then he wanted to be the highest-flying pilot the world has ever seen and decided to attempt reaching such an ambitious goal aboard a Deutsche Flugzeugwerke plane with a BMW IV aero engine. He reached 9,760 meters and had to withstand temperatures under 50 degrees Celsius, with diminishing quantities of oxygen at the same time. It was quite a challenge for the 230 HP engine too, to function at such heights. The first car built by BMW came ten years later, in the shape of the BMW 3/15 HP, which was in production until 1932. Some 60 years ago the brand was reborn thanks to the BMW Isetta and BMW 600 followed by the BMW 700, a best-seller for the brand, over 190,000 units of it being sold by 1965. It was back then when Daimler got really close to buying out BMW were it not for Herbert Quandt who decided to step up. In 1979, some 40 years ago, the BMW M1 was lining up in the Procar series, probably the most exciting motorsport event ever organized, where the top Formula 1 drivers got to race touring car drivers using identical cars. Then, in 1999 the BMW Z8 was introduced along with the first ever SUV from the Bavarians: the BMW X5. This marked a new chapter for BMW, one that would change it forever. Copyright: Eventpress Herrmann 16.03.2004 Thema: Der erste “BMW 3/15 ” überhaupt wurde in einer Werkhalle in Berlin-Johannisthal am eheml. Fluhafen gebaut. BMW annual general meeting 1959 (11/2010). 100 years ago: A high-altitude flight as the first record for BMW. On 17 June 1919, the experienced test pilot Franz Zeno Diemer set out to help the fledgling company BMW achieve a first world record. He took off from Munich’s Oberwiesenfeld airfield piloting his aeroplane manufactured by Deutsche Flugzeugwerke and powered by the BMW IV aero-engine on the route to a sensational record attempt. The 230 hp engine was designed on the basis of a principle conceived especially for flying at great altitudes. Diemer took around one and a half hours to fly his machine up to an altitude of 9,760 metres. In the open cockpit, he had to contend with temperatures down to minus 50 degrees and breathe in air with gradually diminishing oxygen levels. Never before had an aircraft flown so high. 90 years ago: The BMW 3/15 hp – launch on four wheels. Ten years later, BMW had already expanded its product portfolio with motorcycles – then came the next step. The Board of Management decided to get involved in the automobile business. The Chairman was Franz-Josef Popp, who had held a management position with the company in the early stages of aero-engine production. “Our experience in the area of motorcycle construction encouraged us to embark on the production of small cars, for which there appears to be a promising domestic market. With this end in mind, we purchased automaker Fahrzeugfabrik Eisenach,” announced Popp in the company’s Annual Report. On 22 March 1929, the first BMW 3/15 PS left the assembly halls in Berlin-Johannisthal. Almost 16,000 units of the new small car followed in the years up to 1932. 60 years ago: Debut for the classic Mini. He sketched out the first design drafts on a napkin. The designer Alec Issigonis created a revolutionary small car on the basis of the resulting plans. On 4 April 1959, the first classic Mini rolled off the assembly line at the Austin Longbridge plant in Birmingham. In spite of an external length of 3.05 metres, the little car provided sufficient space for four occupants and their luggage. Issigonis applied a completely new design at the time, with front-wheel drive, a four-cylinder transverse engine mounted at the front of the car, and the gearbox configured beneath. This design layout was soon adopted by virtually all manufacturers in modified form. It offered the best prerequisites for the principle of creative use of space and for excitingly agile driving performance – attributes which characterise the models of the British premium brand to this day. 60 years ago: The turnaround was achieved with the compact BMW 700. During the 1950s, the company made significant contributions to getting people in the young Federal Republic of Germany on the road with the BMW Isetta and the BMW 600 that was derived from it. However, the aspirations of the customers continued to rise and it was necessary to create a new small car with a conventional design in order to compensate for falling sales. The Viennese BMW importer, automobile designer and former racing driver Wolfgang Denzel provided the key impetus. He presented the BMW Board of Management with the design for a two-door notchback car that had been designed by the Italian designer Giovanni Michelotti. The prototype formed the platform for the BMW 700, which was presented for the first time on 9 June 1959. By 1965, more than 190 000 units had been sold and BMW succeeded in ascending out of the economic trough. 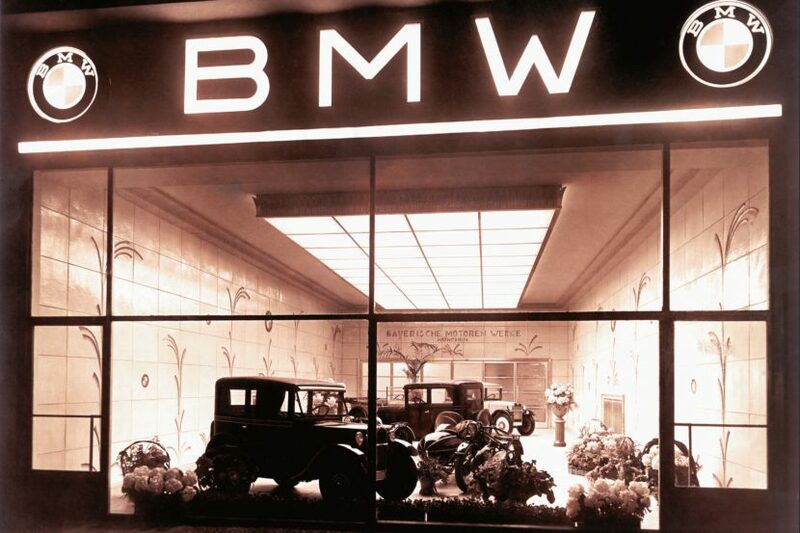 60 years ago: Small shareholders defend the independence of BMW. Sales problems in the automobile and motorcycle business had caused BMW serious financial difficulties during the 1950s. At the Annual General Meeting held on 9 December 1959, the takeover of the company by Daimler-Benz AG was therefore an item on the agenda. However, the restructuring plan associated with the takeover was opposed by many of the small shareholders. During the course of a turbulent discussion, the lawyer Friedrich Mathern managed to depict inconsistences about the official figures. He objected that all the development costs for the BMW 700 had unjustifiably been included in the balance sheet for 1958. He also criticised the fact that the value of the BMW brand and its employees had been valued much too low. The meeting was then adjourned – with the result that the time-limited offer from Stuttgart expired. BMW remained independent but the financial crisis had not been resolved. The increased commitment of major shareholder Herbert Quandt ultimately provided the assurance needed to move forward. In the following year, he submitted a new restructuring plan which also took account of the interests expressed by the small shareholders. 50 years ago: A new era of motorcycle production begins. Aero-engines had already been manufactured in Berlin-Spandau under the direction of BMW since the 1930s and after World War II motorcycle and car compnents as well. In 1969, the entire production of motorcycles was relocated from Munich to Berlin. The start of production for the BMW /5 Series went hand in hand with the move. The technical director at the time, Helmut Werner Bönsch, presented it with self-assured words: “There is no doubt that BMW has been building the best and most advanced motorcycle in the world for many years. Our ambition is to maintain this reputation into the future.” This was indeed the case. The BMW 50/5, BMW R 60/5 and BMW R 75/5 models had been developed as sporty touring motorcycles in a modern design, and they had a completely new chassis with telescopic fork for the front wheel and variable rear-wheel suspension. And for the first time, customers were able to choose between versions with different colours. 40 years ago: The BMW M1 lined up on the grid in the Procar Series. The BMW M1 mid-engined sports car was already irresistible when it was standing still. But it developed its true fascination on the racing track. This emerged above all in the Procar Series initiated by the Managing Director of BMW Motorsport GmbH at the time, Jochen Neerpasch. The races were staged in 1979 and 1980 as part of the warm-up for the Formula 1 World Championship races in Europe and they developed into a runaway success with the public. The protagonists themselves were also captivated by Neerpasch’s idea of staging races between Formula 1 drivers and touring car drivers piloting vehicles with identical engineering and generating 470 hp. On 12 May 1979, the first race in the Procar Series started in Zolder, Belgium, and 16 more races were to follow. 20 years ago: World premiere for the BMW X5. An all-rounder with all-wheel drive which was not only capable of impressive driving on off-road terrain but also demonstrated excellent performance on the road – this was how the BMW X5 was presented in autumn of 1999, as the world’s first Sports Activity Vehicle. A few months later, the BMW X5 Le Mans demonstrated its huge potential for dynamic driving. This was an experimental vehicle with a V12 engine generating more than 700 hp. Racing driver Hans-Joachim Stuck achieved a top speed of 309 km/h in this car on the Nürburgring. 20 years after the debut of the first SAV, the family of BMW X models has grown to seven model series. In 2018, 37.3 percent of the brand’s total sales were generated by BMW X models. 20 years ago: The BMW Z8 exerts fascinating appeal with classic aesthetics. 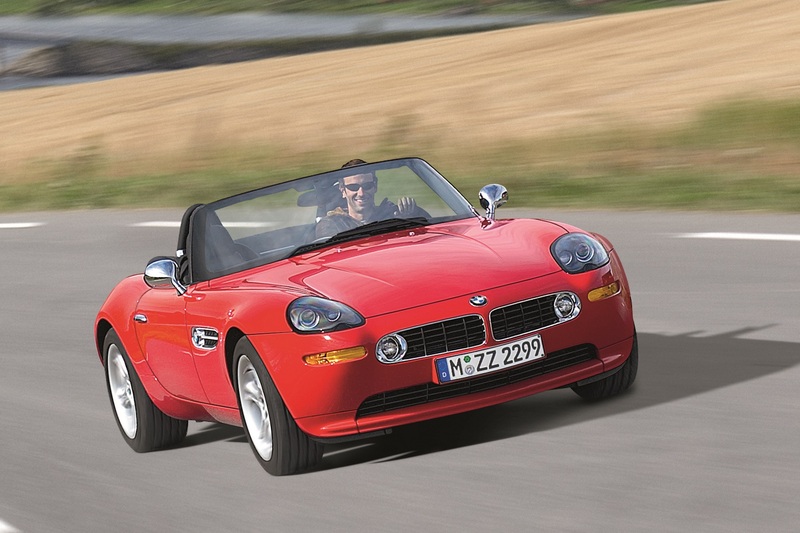 In 1999, BMW also presented a milestone in its roadster history, which was certainly not lacking in highlights. The BMW Z8 styled by Danish designer Henrik Fisker created a sensation at its world premiere on the occasion of the International Frankfurt Motor Show (IAA). The elegant lines recalled the legendary BMW 507 and the luxurious cockpit make it an eye-catcher to this day. The classic forms clothed innovative engineering: a self-supporting aluminium frame with the external skin bolted on, powered by a 400 hp V8 engine. A total of 5,703 units of the BMW Z8 were manufactured between 2000 and 2003 at a dedicated production facility established especially for this vehicle at the BMW plant in Munich. BMW Group Classic will be saluting these anniversaries in a variety of events and publications during the course of 2019.